The realisation that I see Amsterdam differently from the majority of other people will start when I’m still in London and ready to get on the plane. Because what am I? I’m not a tourist but not a local either. I will take my seat amongst groups ready to get drunk or high and that’s not my plan. Couples will read their guidebooks and plan their sight-seeing and I won’t do any of that. Then there are Dutch people going back home and I don’t fall into that category anymore either because, yes I am Dutch, but after having lived in London for over two decades, this is home now. 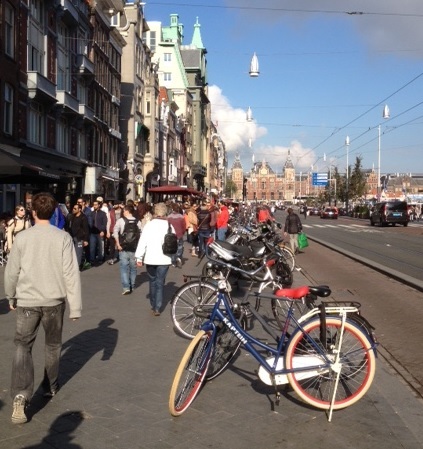 Many people think they know Amsterdam because they’ve been there. It has the highest ratio of tourists to locals of any European city, with almost 3 people visiting each year for every person that lives here. 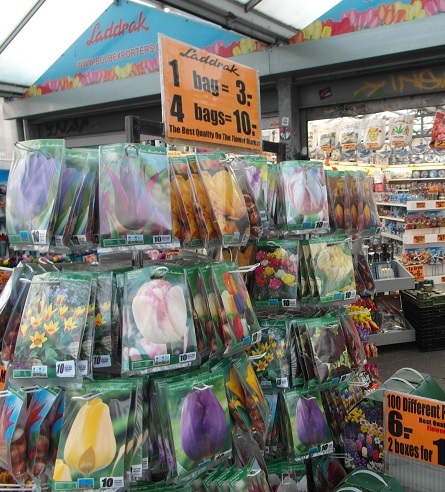 Also, most visitors come between May and September and move in the same one kilometre area around Central Station. So what most people see is a crazy overcrowded place, long queues for the Anne Frank House or the Rijksmuseum and a red-light district that’s almost a tourist attraction. More and more articles turn up in the Dutch papers describing this part of Amsterdam as a ‘theme park’ during the height of tourist season. The city I know is different. Leave the centre and move one canal-ring out and there will be hardly any tourists. The menus in bars and restaurant will no longer be in English and you will hear mostly Dutch spoken. 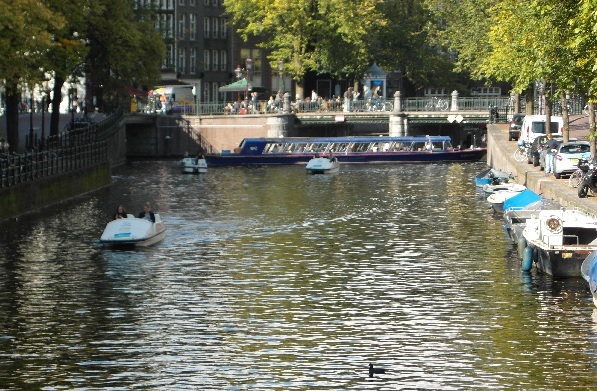 The waterways are peaceful and you feel a thousand miles away from the crowded and crammed central area. A few years ago, I was in Amsterdam in February and it was bitterly cold. Because the country is flat, the weather is ruled by the wind and an easterly in winter brings Siberian cold without anything to stop it. It was snowing and the streets were deserted apart from a group of Chinese tourists who walked around in a daze and wondered what they were doing here. After they’d left, I stood on a bridge crossing the Keizersgracht, watched the snow drift onto the ice that covered the canal and thought: this is what I want to capture in my book, this feeling of Amsterdam in winter. In January and February it is a city with empty streets after the tourists have gone. I wanted to share what’s behind the doors of the canal houses, such as the perilously steep stairs as the buildings were built as narrowly as possible. I also wanted to introduce readers to the areas where people actually live and not just sight-see. When I visited in July, I could no longer cope with the crowds trying to get into the Anne Frank House and escaped into the Westerkerk for some peace and quiet. This is a church where both Rembrandt and a famous distiller (Lukas Bols) are buried and there are no prizes for guessing who has the bigger memorial stone. I walked around, one of maybe five people inside, and glanced down every now and then to the gravestones that cover the floor. There is something about seeing your name that captures your attention and that’s probably why I noticed that my left foot was resting on my own surname. I had to sit down. Even the initial was mine. A de Jager was buried in this church. Suddenly it was clear that this was still my country, this was my city, because I’m pretty sure that not a single A de Jager had been buried in London in 1824. Part of the joy of writing is that you can show unexpected sides of people or places. I am fortunate enough to have a whole city that I can write about, with plenty of unforeseen angles, nooks and crannies. Through my novels I get to explore this city which isn’t home anymore but where a part of me still belongs. Thanks to Anja for this great insight into the unusual task of setting a novel in a place both familiar and not. Are you hooked on crime fiction? You’ll have gathered that the author is a friend and that I’m unusually invested in this book. And if these facts cast reasonable doubt on my impartiality, perhaps it’s worth bearing in mind that crime fiction isn’t really my scene – I read no more than three or four books a year in this hugely popular genre. That’s mainly because my focus lies elsewhere but also because for me, it’s hard to find a balance between a plot so convoluted that I lose all hope of following and (less frequently) one so formulaic that even I can see where it’s headed. Those who master the ground in between* and combine it with depth of characterisation and good writing have my admiration and even in her second language, Anja de Jager is one of them. 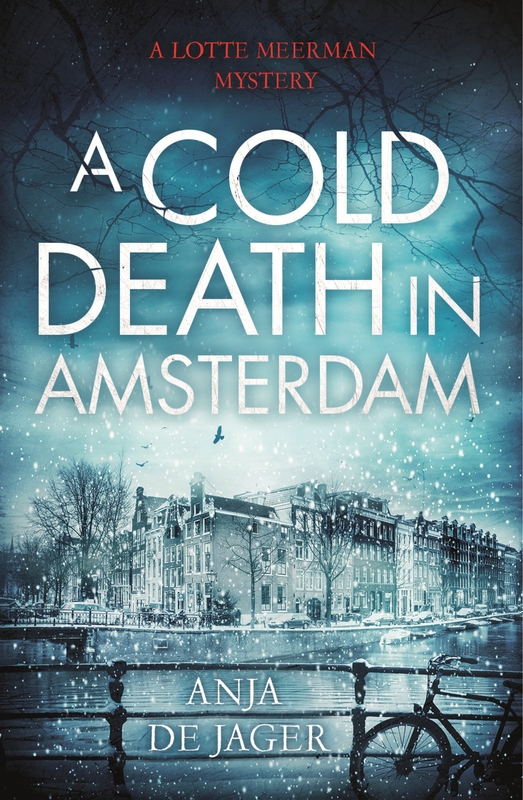 Alongside the authentic and atmospheric setting of Amsterdam in the depths of winter, the key strength of this series (yes, the next one is brilliant too) lies in the complex and relatable portrayal of detective Lotte Meerman in her many guises: as police officer, woman, daughter; and in a constant tension between personal involvement and professional responsibility that make for a highly compelling story. I’m sure this series will be enthusiastically received by lovers of crime fiction – and well beyond, if my response is anything to go by. This Thursday I look forward to life meeting French author Karine Tuil in person on the UK publication day of her ninth novel The Age of Reinvention, which was shortlisted for the Prix Goncourt. No doubt our conversation will provide fascinating material for a review which I’ll be posting at the weekend. 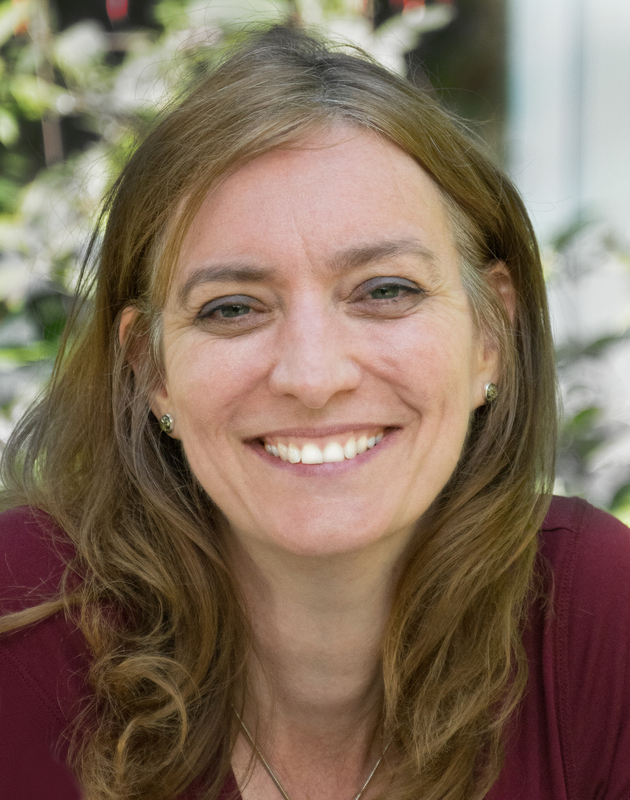 And next week, as mentioned above, psychologist Dr Beth Miller will be visiting the Literary Sofa to share her experience of Accidentally Writing a Psychological Thriller, with second novel The Good Neighbour. I’ve only visited Amsterdam once and it was in Feb and the biting wind was so cold I had to make an emergency purchase of a hat. I could imagine Anja’s description of the city and would like to read more, although like you Isabel, crime fiction is not usually a genre I read but will keep an open-mind.